9 RS Aeros and 3 newbies! Storm Katie rampaged through the UK over the Easter weekend creating havoc. 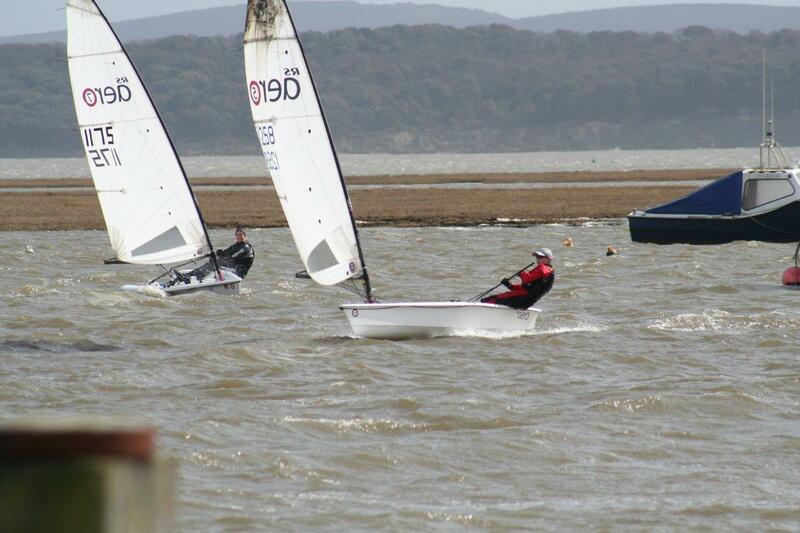 None the less, 9 RS Aeros made it out at Keyhaven with 3 on Friday being joined by a further 6 on Monday. Ahead of the storm and under clear blue skies Andrew Snell had built up a good lead in Friday’s 16 boat fleet with two 1sts. Another RS Aero, Ian Sanderson, held 2nd. With the next two days blown off racing was looking doubtful for Monday with Katie unleashing a destructive peak of 80kn at 04:00 hours. A steady decrease gave some optimism and after a late call the race officer, Andy Ash-Vie, made the decision to ‘send it’ with a keen group of single handers ready to battle the elements. 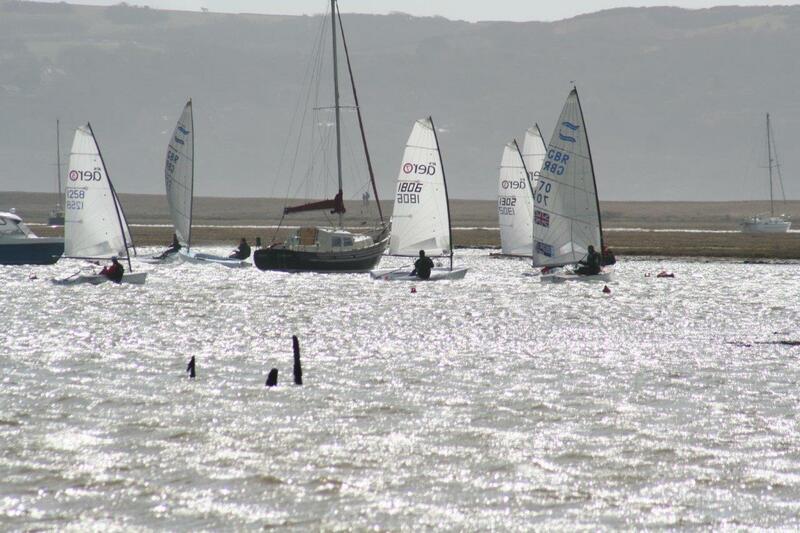 8 RS Aeros, 4 Finns and a Laser took to the water for two laps of the marshes with Andy A-V expertly setting a couple of turning marks to help avoid cutting corners over the notorious shallows and avoiding some boats that had sunk overnight! Nev Herbert led out to Hurst with Peter Barton and a Finn in hot pursuit. Simon Maguire, Dave Ellis, Jack Hardie, Karl Thorne, Ian Sanderson, Andy Snell and the other Finns were ready to pounce, not far behind. The 5 rigs were holding their own well. As the fleet passed Hurst Castle and its weather station on the first round the max gust peaked at 37kn! Bearing away onto a run and gybing in a small tidal chop proved a challenge and Barton tipped it in. A quick righting saw him stay just ahead of Herbert who, showing his new found paternal maturity, wore round. A speedy broad reach in the western Solent to the entrance of Hawkers channel followed and the fleet turned to beat back up to the quay to complete the first lap. The fleet now had the challenge of tacking up the 40ft wide channel avoiding 30ft long yachts lying across the width of it due to the 2 knots of tide going upwind against tide. There was some pressure on judgement and to not mess up a tack for fear of being swept under a yacht! Perhaps this was not the easiest of days for initiations, however, RS Aero first timers, Jack Hardie of Reading Uni and Stuart Hudson (after racing) had a fantastic sail and came in beaming. On his second outing Ian Sanderson was already on the money. Peter Barton won the Monday race followed by Simon Moss’ Finn. Ian Sanderson’s RS Aero took 3rd with Karl Thorne’s RS Aero 5 in 4th. 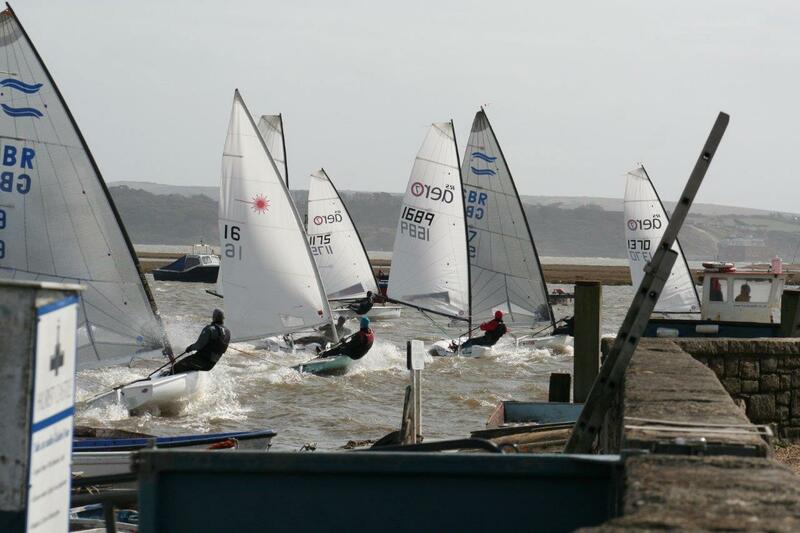 Andrew Snell clinched the Easter regatta overall from Sanderson in 2nd and Roddy Steel’s Finn in 3rd. 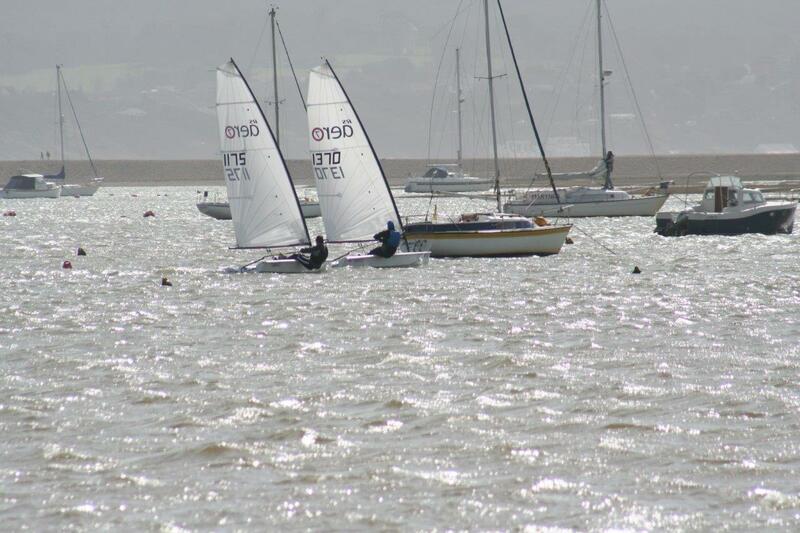 Massive thanks to Keyhaven YC and Andy Ash-Vie for seizing the moment and providing a regatta to remember!